​And so here we are, two days after the culmination of the World Cup. It's been a tournament for the ages, and saw the birth of a multitude of stars ready to carry the mantle from here until Qatar 2022. It was a summer of love trains, slab-heads, VAR, skill, skullduggery, acrobatic throw-ins and...Lawro. Yes, that's right, your man has been front right and centre of Russia 2018, secondary perhaps only to Kylian Mbappe as poster boy of the tournament. As such, at 90min we knew he was the only man to turn to for the post-tournament reaction. So, for the last time, heeeeeerrreeee's LAWRO. *ML signifies the man, the myth, the legend and the parentheses are our interjections/questions. Also - and to be honest you should know by now - this is a PARODY. Lawro is way out of our league. ML: I'd be lying if I didn't admit the attention got to me. The lights, the cameras, the fame, the interviews - they got to me. I just had to shut myself away from the world, and really get stuck into Preston's pre-season...it was the only thing that comforted me. ML: What a load of dross that is. Two teams who don't want to be there, "fighting" [he obviously did the air quotes] it out for a meaningless medal that only the most tin-pot of players would keep. It's an absolute farce. ML: Of the 15 minutes that I watched, it seemed like a decent enough game - and my expectations were that it would be a decent enough game, so yes. Ten years from now, Danny Murphy will make Mark Lawrenson sound like the most enthusiastic and happiest guy that ever lived. ML: Look, at the end of the day, I'm paid to say things. Sometimes I say good things, sometimes I say bad things - but one thing I'll never do is apologise for saying things. Anyway, what have I got to apologise for? The lad proved my point. Ever since he got rid off those idiotic, childish, ridiculous dyes and etchings on his head, he's been a much better player. If only he could keep that up for an entire season. Then he'd be a proper player. For now, he's distinctly average. ML: One player I think has really impressed, and gone under the radar, is that Varane fella at the back for France. I haven't seen anyone praising him or nothing, which is a joke, but that bloke can head, block and clear a football. That's what I want from Pogba. None of this flicky dicky stuff, just old fashioned, no nonsense centre back play from midfield. Sat here waiting for some World Cup but it’s not coming on. 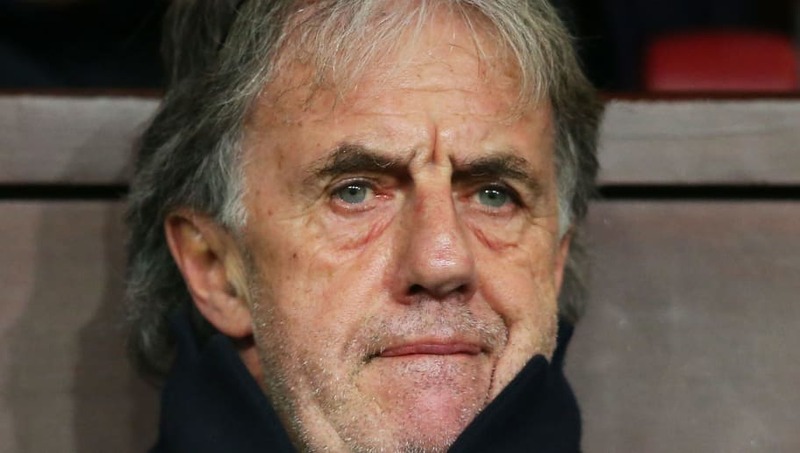 What I’d give now to watch a Group Stage match like Costa Rica vs Serbia to the tune of Mark Lawrenson’s nihilism or Sam Matterface making a confusingly irrelevant analogy. You don’t know what you’ve got til it’s gone. ML: Oh that $#%&*^ [outdated expletive] penalty was a disgrace, an absolute disgrace. VAR's had yet another blinder, hasn't it. Bloody pathetic. I mean, don't get me wrong, I still haven't seen it yet - because I only watched from the 14th to the 29th minute before I got bored, and left Mowbray an angry voicemail just for a laugh - but I've been told it was horrific. ML: Hold on, one second. I've just had an idea. ML: Hiya Guy, it's Ally McCoist here, I just wanted to say I thought your commentary was utter sh*te today, you're just a poor man's Jon Champion. And, as for that book hating twerp alongside you, Keown, he's got the worst voice in football, always telling me to "Listen" right before he starts speaking, as if that's not what I'm bloody doing. Anyway, I'm boycotting ya until ya get that fella Lawro back on, cause he knows what he's on about. He's a sound guy.